Self-priming, flexible finish for exterior wood. Flexible and weather resistant. 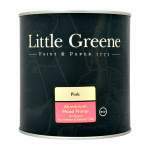 Little Greene Intelligent Exterior Eggshell is for use on wood and suitably primed metal surfaces. 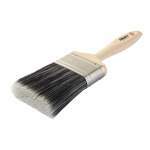 High performance, self-priming opaque wood finish with excellent penetration. Providing a flexible, weather resistant surface that is completely washable whilst inhibiting the growth of mould and algae. UV resistant making this product suitable for all exterior joinery and cladding. Offering maximum protection due to superior penetration, flaking, peeling and resisting cracking. Application is by brush, roller or spray with coverage up to 12sq/m per litre. Touch dry between 2-4 hours and recoatable in 16 hours. 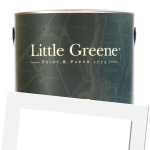 Little Greene Intelligent Exterior Eggshell (Tinted) is available in 36 colours from the Little Greene Colour Cards. A high quality, water borne, extra durable and flexible opaque wood finish with a UV resistant film suitable for all exterior cladding and joinery. Little Greene Intelligent Exterior Eggshell offers maximum protection due to superior penetration, resisting cracking, flaking and peeling and can be applied onto new timber without the need for priming and onto previously painted surfaces. 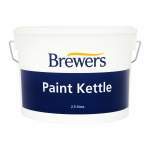 Easy to clean with excellent water resistance and excellent adhesion to aged oil borne finishes. Microporous film minimising blistering and fully resistant to fungal and algae growth. 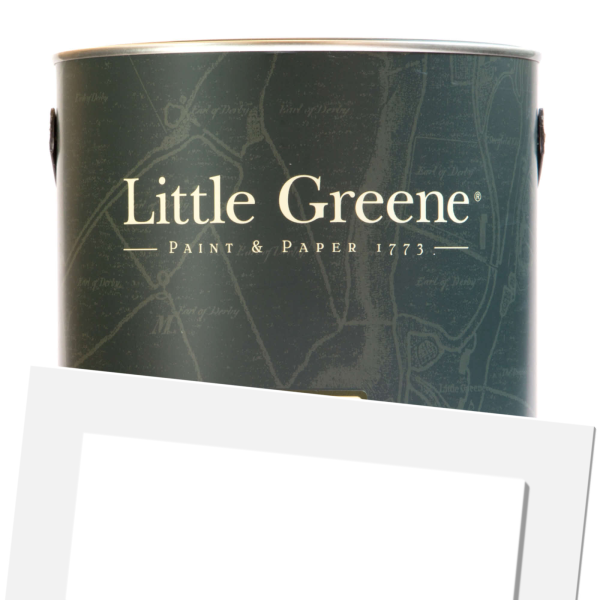 Little Greene Intelligent Exterior Eggshell is supplied ready for use without the need for thinning. Stir thoroughly prior to use. New Wood - Non preservative treated softwood timber should be preserved with a proprietary wood preserver. For best results on new, uncoated wood that is resinous in nature or contains resinous knots, apply two coats of aluminium wood primer to prevent staining and/or discolouration, prior to undercoating. All smooth planed timber should be thoroughly sanded and cleaned ensuring that the timber is dry and free of contamination and dust. Rough sawn timber should be cleaned free of dust and other debris or contamination. Proceed with two coats of Little Greene Intelligent Exterior Eggshell. Existing paint finish - Remove all loose and flaking paintwork. Degrease with a suitable detergent solution, such as sugar soap, followed by clean water rinse. Rub down thoroughly with a medium grade sand paper to provide a key and a defect free smooth surface, “feathering in” areas where paint has been removed. Make good any repairs, sand and apply a primer coat of Little Greene Intelligent Exterior Eggshell to exposed surface as appropriate. Proceed with 2 coats of Little Greene Intelligent Exterior Eggshell.